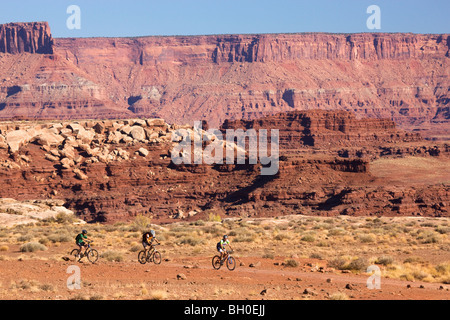 Mountain biking on the White Rim Trail, Island in the Sky District, Canyonlands National Park, near Moab, Utah. 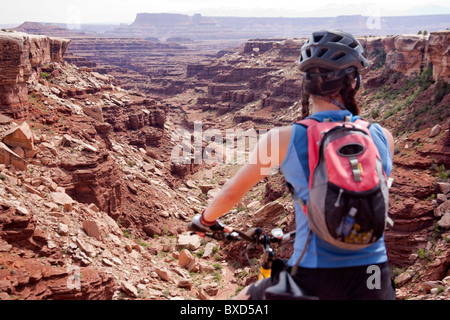 Location: White Rim Trail , Island in the Sky District, Canyonlands National Park, near Moab, Utah. 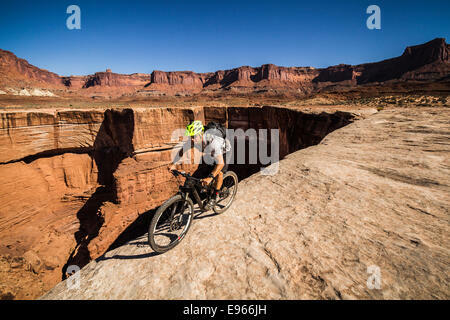 Wes Shirey mountain biking on the White Rim trail, Canyonlands National Park, Moab, Utah. 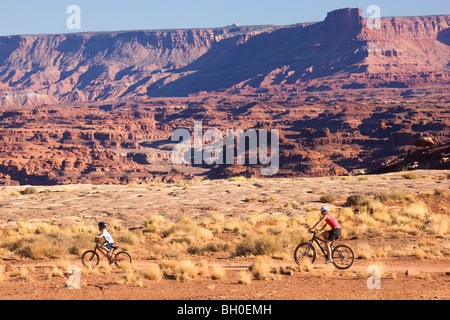 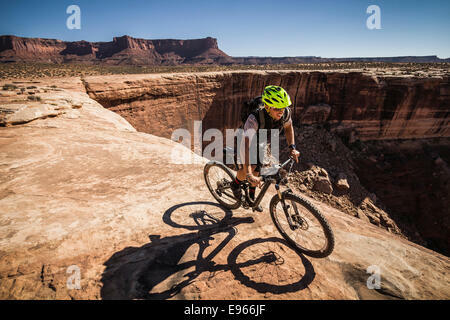 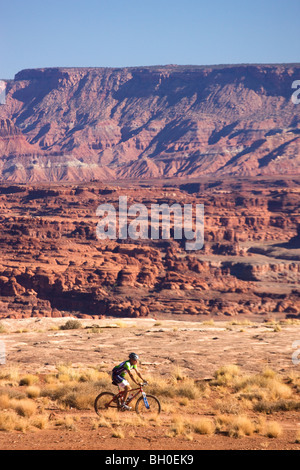 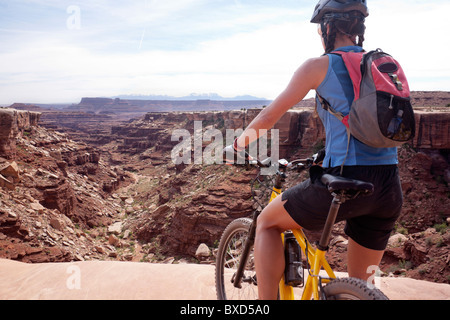 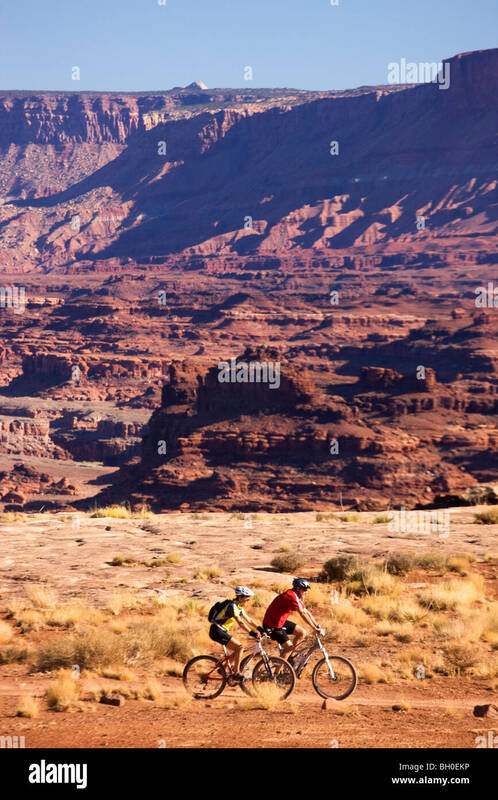 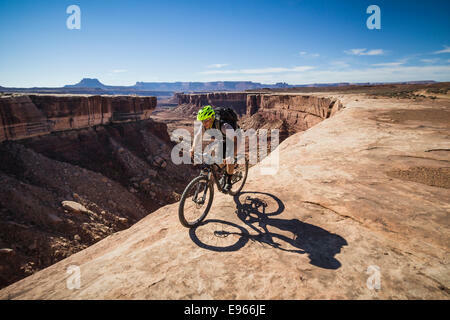 A woman bikes the White Rim trail in Utah. 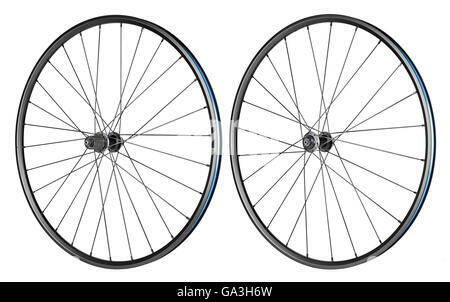 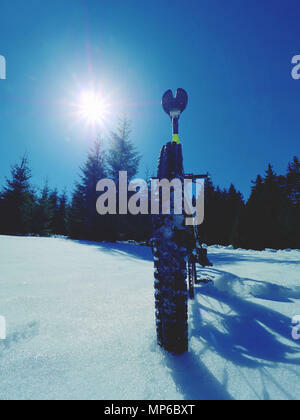 Cycling on large tyres in fresh snow. 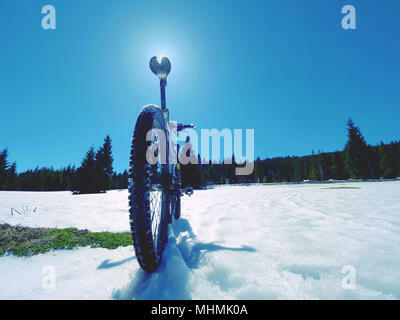 Biker goes by bike on the snowy road in the mountains. 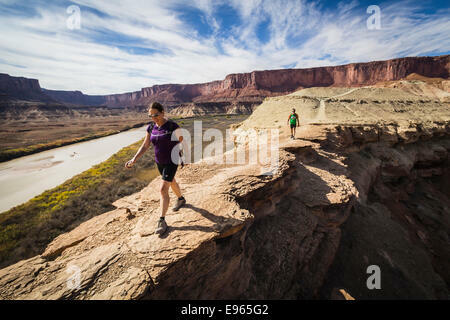 Picture taken in HDR mode.